As everyone should know by now, a major patch hit on October 20th, 2016. When I heard that this patch was coming, I was worried that Combrei was going to get nerfed, messing up my previous article. Lucky for me, my beloved Combrei deck is still intact, but there are a number of interesting balance changes to discuss. Like many people, I have been thinking about how these changes effect the metagame, so I will share my impressions, including some potential decklists. In addition, I’m going to spend a bit of time discussing my thought process, to help others understand how to improve your own card evaluation in the future. The first question is about testing a card’s power level “in a vacuum”, where you try to consider the power level of a card in the abstract. I think that this is an important place to start, because it often lets us know how hard we should think about a card moving forward. Although it is difficult to just guess at the inherent power level of a card without context, you can often compare it to pre-existing cards. Analogies to other cards are often limited when a new card has a unique ability, but you can often create some vague parallel. If a card fails this test flat (consider Worn Shield or Copperhall Recruit) you can probably forget about the card’s existence. On the other end of the spectrum, a card with a very high inherent power may be worth building around even if there is no pre-existing deck. One of the most important elements of this question for units is called the “vanilla test,” where you attempt to just evaluate the card based on stats alone. Is this card better or worse than the typical cards played at that cost? If it is above the quality we would generally expect (say a 5/5 or better for 3) we would say it is “above the curve”, while something that has lower stats than we would expect at a given cost would be considered “below the curve”. From the vanilla test we can figure out how much we are expecting from its abilities. Next, we consider synergy within the format. Obviously, a card that is just an efficiently costed hunk of meat, or a premium removal spell, will have minimal synergy, but most cards have at least some combos with other cards in the format. Unit with 5 or more strength? Has synergy with Dawnwalker and Friendly Wisp. Cheap removal spell? Maybe it pairs well with Statuary Maiden. Often the factions guide us to some potential synergy themes, such as “sacrifice for value” in Stonescar or “card draw matters” in Elysian. It is good to keep a mental record of major synergy themes, such that you can run through them whenever a new card is released or an old card is changed. The third question relates to “hate cards”. If you are coming from a Magic background you may be taking this term too literally, as there are many powerful hate cards in that game that totally cripple certain strategies. Since those types of cards are not “fun”, modern game designer have moved away from releasing hate cards, but still print ways to break up different synergies. By this metric Steward of the Past, Desert Marshall, and Sandstorm Titan are all the type of hate cards we should expect in Eternal – reasonably good in a vacuum but can hose various strategies. When looking at a potential “hate card,” don’t imagine a one card trump to Rakano or some other strategy, but rather something that interacts very favourably with potential cards from your opponent. Finally, we have the “vulnerability” test. For those of you that have played Magic, you may think of this as the “dies to Doom Blade” test. Doom Blade is an extremely efficient removal spell from Magic. The joke among Magic players is that anything that dies to Doom Blade must be bad. Although this is obviously an oversimplification for the purpose of a joke, there is an important lesson here. A card that is vulnerable to some of the most commonly played removal spells – especially at a power disadvantage and without some summon or entomb value – should be avoided. The most important example in Eternal is the “dies to Torch” test. There are very few 3 drops or above that see play that die to torch. Two of the major exceptions to this are Valkyrie Enforcer and Amber Acolyte, both of which have great summon effects. This logic can actually extend into non-unit cards as well. Take for example if a new 6-cost relic were released that seemed very powerful, but the metagame was in such a place where many decks played 4 Furnace Mages. In that case, the Relic would need to be exceptionally powerful to make an impact. The moral of the story here is that cards which are efficiently and completely answered by common effects in the meta are unlikely to make the cut. I find it best to preform this test last, because you should first consider all the wild crazy stuff you could get up to with a new card, and then bring yourself back to reality. Maybe there are sweet combos, and your opponent doesn’t always “have it”. Only after considering the ceiling on a card should you consider its floor and think about how common your dream scenarios will actually come up. Hopefully that is all clear. Now let’s apply these questions to the cards that have been changed. To begin with, let’s start with the “vanilla test”. 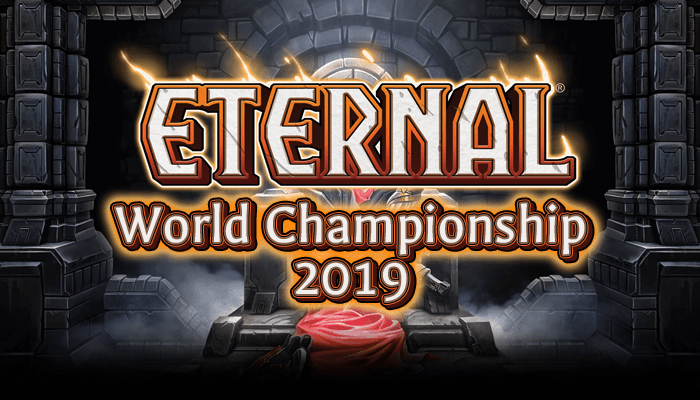 In Eternal right now some of the most commonly played 3 drops are 5/5s (False Prince and Champion of Chaos) 3/4s (Siraf) and 2/5s (Combrei Healer and Feln Bloodcaster). In comparison to this benchmark, Ijin’s body is certainly lacking, especially when you consider that she fails both the Torch test and the Lightning Storm test. All of this taken together implies that she is noticeably under-stated. Before moving on to discuss her ability, I’m actually going to say that I am more sceptical about Ijin than some of the others that I have been talking with chiefly because this stat line is so unimpressive. I want my 3 drops to do a respectable job of blocking, and given that Ijin gets eaten by a Grenadin with a Bandit Queen bonus, I am suspicious of this card making it. Any deck playing Ijin would probably want to make the game go long to take advantage of her ability, although she herself doesn’t contribute to that plan. Siraf is a great counter example of this, as her body helps stall out the board, allowing her ability to take over in the ultra late game once you reach it. Ijin simply does not have the body to back up her late game ability. All that being said, now let’s talk about the ability. Paying 4 power for +4/+4 could be compared to either playing a Gilded Glaive from hand or using the ultimate on a Pyroknight. From that perspective, Ijin actually has an exceptional performance. However, the fact that you must have another unit to target is a major downside. It would be wonderful against control decks if you could play her as a 7 power 7/6. Still, 4-power for +4/+4 is very efficient, and is certainly worth taking seriously. It is difficult to balance the marking for the body versus the marking for her ability. I’m tempted to put the body first, given that she will often have no buddy to partner up with. The balance between these two concerns will be partially match-up dependant as well. Our conclusion on the “in a vacuum” test is: poor body, but good ability. Probably needs some help from somewhere else. I have done some light testing with this deck, and it has some legs, although it is certainly still rough. What is clear from this sort of experiment is that there is a ton of potential to build around Ijin. Taking that into consideration, I would rate Ijin as having a strong score on potential synergies. The next question I posed was related to “hate” cards. In this regard Ijin has no outstanding qualities, but that is not a deal breaker. Not everything can be a “hate” card. In a vacuum: Fine, but probably needs some help. Hate card: Nothing to speak of. To me, this means she is most likely to see play in a deck that takes advantage of her potential synergies. She is likely too fragile to see play as just a “good stuff” card. Unlike Ijin, this card did not receive major changes. The life gain added to the infiltrate ability is exactly what a card like this needed. As SirRhino and I observed in our draft set review, one of the issues with this card is that the infiltrate ability will kill the Gorgon and leave you behind on board. By giving you some life, I feel that the “behind on board” phenomenon will be less noticeable, as it buys you a bit of time against aggressive strategies. I’ll run through the same exercise as above for Gorgon Fanatic, though it will be less detailed since this card is a better-known quantity. In a vacuum: Body is underwhelming (see discussion for Ijin), and the quality of the ability is a function of how many ways you have to push it through. If the infiltrate can be reliably triggered, it can be very powerful. Synergy: Lots of potential here. There are tons of cards that give different types of evasion, and this pairs naturally with removal spells to clear the way for Fanatic to connect. There are also combos with cards like Haunting Scream and Dark Return. Anyone who started playing in June can probably recall the aggressive Feln decks that Fanatic first showed up in. Hate card: Nothing to speak of. Once again, this is not a deal breaker. Vulnerability: Fanatic has all the same vulnerabilities as Ijin, though there are a couple of additional hurdles. Fanatic fits most naturally into a “Haunting Scream” deck, a deck whose whole strategy is effectively hosed by cards like Steward of the Past and Statuary Maiden. Part of appeal of those types of decks is how they can shrug off removal, since you can bring your units back later for a second round. That is not true if some void-hate is in play. Desert Marshall is also a nightmare for Scream decks. On the balance, I feel the bonus Fanatic received may not be enough to put it over the edge. The major hole in these strategies (for Ranked) has really been dealing with hate, and this change does not address this weakness in any way. The change to Amber Monument/Rhinarc may be easy to overlook as just a minor stat bonus. Sure, 5/5 is better than 4/5, but 5 attack is an important number. We may see an uptick in Dawnwalker decks, as Amber Monument helps increase the number of units that trigger Dawnwalker. In fact, if you look at the decks from the tournament this last weekend, there was a major uptick in Elysian midrange and “Overwhelm-a-rod” type decks. This may quietly end up being the most important change of this patch, although it may look deceptively minor at first glance. Changes to Cobalt Monument and Amethyst Monument seem less important for Ranked than Rhinarc. Cobalt Monument may see play, especially in some sort of “flying matters” aggressive deck (maybe a new take on Flight School), although most controlling decks are probably not interested given how hungry they are for power. The Puma probably doesn’t have what it takes because of the vulnerability to Torch, though it has seen some minor play already. The change to Amethyst Acolyte is mainly relevant to draft, as 2/1 for three is far below the curve for Ranked. That’s all folks! Hopefully, my walk through card evaluation was interesting/useful to you. I will probably apply this same method to future changes. Let me know if you have any sweet decklists brewed with the new cards.. Hopefully I am wrong and there are a ton of new decks playing Fanatic and Ijin! Take care!